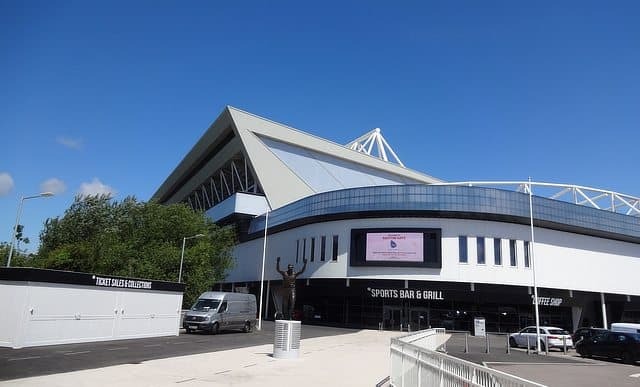 Startup Zeetta Networks has won a contract worth £1.8m to build a large-scale demonstrator of its Software Defined Networking (SDN) technology at the Ashton Gate sports stadium in Bristol. The contract from InnovateUK follows trials at the stadium last year and will see the NetOS software deployed throughout the stadium. The project has broader implications as NetOS can be applied to shopping centres, hospitals, airports and other venues with complex operating networks. The project will connect tens of thousands of devices including mobile phones, cash tills, turnstiles, display screens, air conditioning and heating as well as sensors and building management systems, all with software that is easy to set up, monitor and reconfigure in real time. Zeetta, a smart city spin-off from the University of Bristol, will also develop a programmable platform for new services by extracting data analytics from the network for new software apps. The move is not just about sport. Although Ashton Gate hosts both Bristol City football club and Bristol Rugby, it is also a major conference and events venues. Zeetta will build new business applications on top of the NetOS platform for the wide range of events at Ashton Gate alongside third-party providers.